The San Luis Obispo area, though not as popular among tourists as its surrounding cities, is a fantastic destination for a beach run. The favored route follows the course of the Brian Waterbury Memorial Rock to Pier Run. 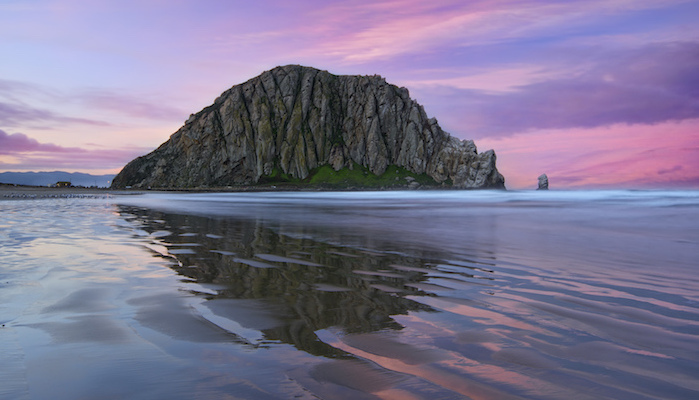 Starting out at the scenic “volcanic plug” known as Morro Rock, the route continues north on a beautiful stretch of wide, flat beach until arriving at the pier in the village of Cayucos. This stretch is about 6 miles one way, but you can turn around at any point for a shorter option, or do an out and back for a full 12 miles beach run. Like many of the coastal routes, it’s prettiest in the late afternoon while the sun is easing down over the Pacific.